We adored working with this couple. They were all about modern, refined and hot on-trend. We created a elegantly designed invitation for them featuring a gorgeous string of gold foiled hanging lights. 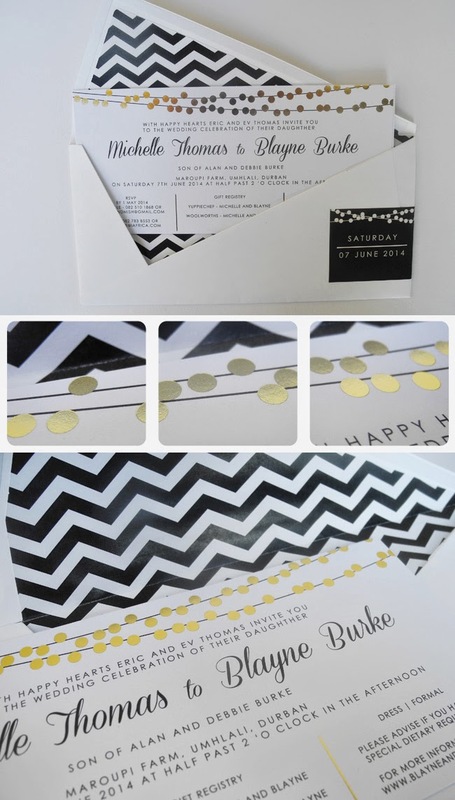 The invitation was popped into a Chevron-lined envelope that we loved. On trend, simple and elegant - our cup of tea.